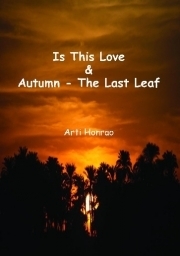 Arti Honrao is author of books titled MyLife-story (Fiction) and Is This Love & Autumn - The Last Leaf and Novel - Resemblance - The Journey of a Doppelganger and writes poems and short stories based mainly on Relationships. She writes at Straight From The Heart. Most of her writings depict human feelings and emotions, which she tries to bring out onto the page and into the minds of the reader. 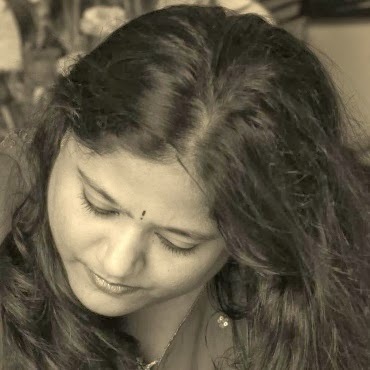 She believes that essence of writing lies in not only entertaining the reader, but speaking to them through words. Her style of writing makes it easier for the readers to visualize the story unfolding around them. She is of the opinion that being good at writing a story is not about the story being unpredictable, it is about the way you narrate the predictable story and still keep the reader interested. Hello Arti! Your real name and pen name? Real Name: Arti Honrao. During the early days I used to write on a poetry site as “Akansha” however, now, I prefer to use my real name for all my writings. I would like to share one memory in particular about which I have also written on my blog. I remember going on a trip to Matheran with my parents. One late afternoon, I had a severe headache and decided to rest in the hotel room but my dad dragged me out for a walk. I was reluctant and too tired to go and I told my dad that I am not in the mood to go. But he insisted. You can read more about it here. Studied Medicine but have now dedicated myself completely to writing. I believe in myself and my faith in God inspires me to do what I am doing and live each day as it comes. I am a firm believer of Saibaba. It really hurts to see how manipulation and pretention has become a way of living for most of the people. Honesty is being lost somewhere amidst the race for survival. What hurts the most is that manipulation and pretention are also affecting human relationships. Cannot really put finger on a particular challenge as such but in general, whatever I have faced in life that seemed challenging, I could and I did overcome it by believing in myself and having faith in God. Mother Teresa. I admire her for the caring nature and the heart. How she dedicated her life to people and did what she believed she had to do and was sent on earth to do. Romance Fiction. Why? I don’t know how to answer this. Maybe, because of my nature and also because this is the genre in which I write? People who read my blog would know that almost all my posts are on Relationships. I started writing (as such) when I was twelve. To begin with, my writings were only journal entries that helped me vent out. I became really serious about writing when a short story of mine was published in my college magazine. The purpose of my writing is to give people something to read which will help them unwind in this fast paced life. That is one of the reasons why most of my writings are for free reading on my blog. I have self-published two short-story books so far. 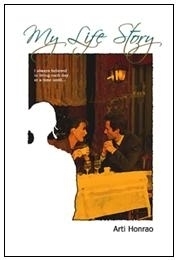 My Life-Story (Fiction) and another book of two short stories (Is This Love & Autumn – The Last Leaf). 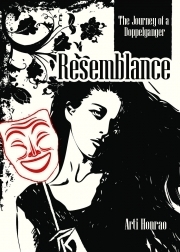 Latest book released is my Novel : Resemblance – The Journey of a Doppelganger. The details of all the books can be found under “Books at SFTH” in Navigation Menu of Straight From The Heart. Another two books listed there are the titles I had published as a publisher, few years ago. I write poems and stories as and when I get ideas for the same and publish them on my blog for free reading. All of my short stories (even those published as series) are instant write-ups and published immediately. The latest short story written is Here Now … There The Next Moment (it can be read here). I am also working on a Novel. Like I have mentioned before, I am working on a Novel. At the same time, poems and short stories would keep coming on Straight From The Heart (so make sure you keep visiting). Most importantly, I take care that whatever I write is in simple language, which makes it easy for the readers to visualize my writings. Secondly, I try to convey a positive message through my work. Thirdly, like most of my readers already know, I pay more attention to the emotional aspect rather than character description. Listed fourth but equally important is making sure the writing is properly edited. Night. Since it is peaceful and I can concentrate on reading and/or writing. Blue. Calms me down when I am angry and helps me to relax. So many, cannot really pick one. Though, special mention to “The Secret” by Rhonda Byrne which influenced my life is a very important and positive way. Some quickies: Sun or Moon, Laughter or Smile, Morning or Evening, Coffee or Tea, Mountain or Sea, Long Drive or Short Drive, Silence or Conversation, Water or Fire, Air or Earth, Mars or Jupiter, Moon or Sun, Tulip or Rose, Red or Blue, Left or Right, Glance or Stare. Moon. Laughter. Evening. Coffee. Sea. Long drive. Silence. Water. Earth. Mars. (Repeat: Moon). Rose. Blue. Right. Glance. “Always keep smiling; someone might be needing it more than you do. And a story, which he / she can never tell!